This bootie has a ribbon bow. 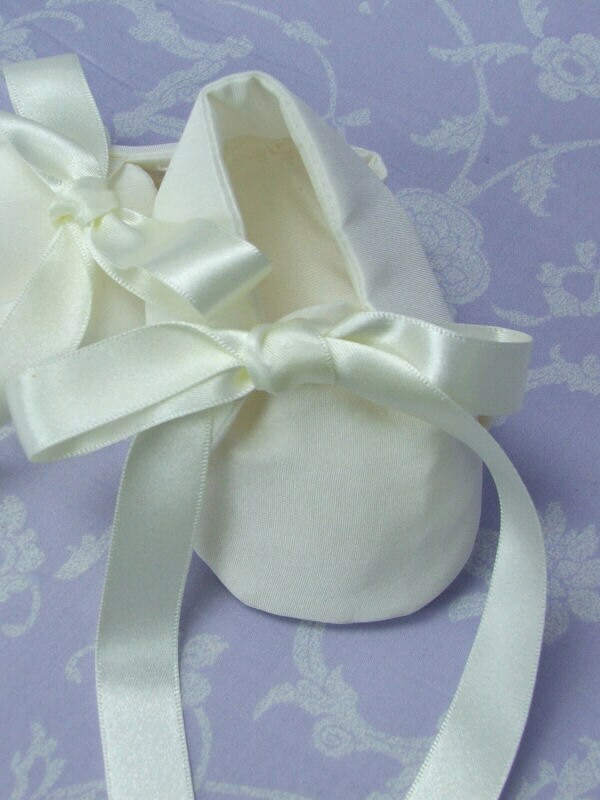 The bootie covers the full foot and is suitable mainly for boys but can be worn by girls also. 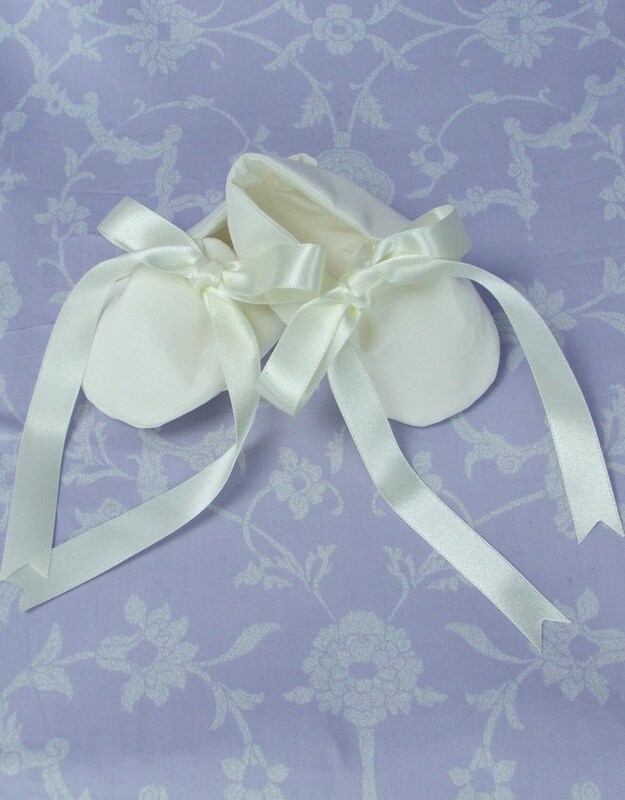 No other decoration the bow tails can be trimmed by your self to suit the look you with to make.